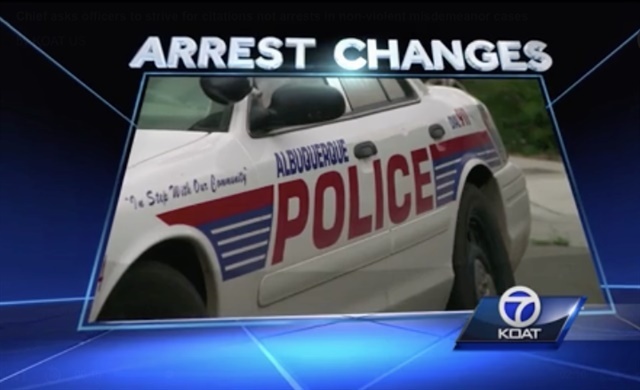 In a letter to all sworn personnel, Albuquerque Police Chief Gordon Eden told the city’s officers on Tuesday that they shall no longer arrest individuals for non-violent misdemeanor offenses. The chief's letter goes on to say that officers are to issue a citation to offenders instead. Some misdemeanor offenses that may be affected include criminal trespass, criminal damage to property under $1,000, shoplifting under $500, shoplifting under $250, prostitution, and receiving or possessing stolen property under $100. DWI offenses will not be impacted, KOAT TV reports. The letter goes on to say that officers may make an arrest if it is necessary, but will have to include the reason why in an incident report.